As a couple of the most desired benefits you’d think more companies would offer dental and vision insurance to their employees. So why don’t they? Probably because you’re not talking about it!! There’s no denying that taking care of oral and eye health is essential for overall health; problems in the eyes and mouth can cause or be indicators of problems in the rest of the body. When you’re jumping into the ring, keep in mind there are more carriers than meet the eye (no pun intended), and we use our same methods of analysis and customization as all other ancillary lines. to both employer AND employee. Offer the benefit as voluntary to either supplement employer paid benefits or just as a means to offer something to the employees and their families. Don’t forget, a group can be as small as 2 employees! I think it’s safe to say that all employers and business owners dream of having healthy and happy employees, and the more benefits they’re offering, the better. Let’s help them make that dream come true; they’ll be jumping for joy! Have you heard about the integral role Voluntary Benefits will be playing in the future of employee benefits??? If you are a group producer, we are certain you have! For some companies, many of these benefits will be offered in lieu of the employer paying due to cost of providing health benefits to employees. For others, it is a mechanism to enhance the value of being an employee of that business. So what is being offered in today’s Voluntary (or Buy-Up) marketplace? It’s not just your group life, short or long-term disability, accident insurance, vision, or dental. Today, the offerings go on to such plans as whole life, universal life, critical illness, legal shield and/or identity theft, concierge services, pet insurance, homeowners, and the like! There appears to be no limit to what is being offered depending on the industry and company location. Other changes to consider are the manner in which these benefits are offered. We still have the traditional face-to-face group meetings followed by the one-on-one. However, if there is a large group, that process is far too cumbersome and time consuming; that said, some insurers are offering to do this for you with no loss of compensation. As a rule, if the case is large enough, you will want to offer a specialty web portal for the company that includes training pieces to help the employee (and their family) make the proper voluntary benefit selection. At the very least, you will want online or telephonic enrollment. The latter’s’ benefit is that there is a person that can help the employee to better understand what they have available. Taking this to the next level are carriers that provide these benefits not on a group chassis but on an individual (and portable) platform. Do not get lost in the analysis and try not to over complicate the process. Even if you have an enrollment company assist you, it is better to let a group of professional enrollers take on the case then to sit and learn on the job. The overall enrollment will increase and your client will be far happier with the results. From the less expensive group basis to the individual platform, we can help you and your clients make the best-informed decision. Please let us know how we can together, help your clients tailor and enhance their benefit offerings. It is our advanced knowledge and understanding that drives us forward. Let us share our expertise with you! If you work with business clients, you know that many have at least one “key employee.” These individuals provide a vital service, fill an important role, and/or help generate income for the business. In turn, if that employee were to become ill or disabled, it would be difficult for the owner(s) to fill the shoes or find a replacement. A CFO, CIO, or other C-Suite executive of a larger corporation. The loss or absence of any of these key employees due to a disability or illness, even in the short term, could result in a financial loss to the business! In order to help protect the business, Key Person Disability Insurance exists to provide the financial resources to keep the business moving and find a replacement if necessary. Key Person Insurance can provide the means to Recruit, Hire, and Train a replacement, and/or offset a portion of the financial loss. The employer is the Applicant, Owner, Payor, and Beneficiary of the policy, provided that the employee agrees to be insured. Premiums are not deductible to the company; however, the benefits are tax free. 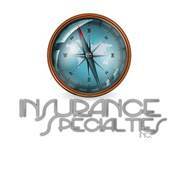 At Insurance Specialties Inc., we are here to help you design and implement the most comprehensive and competitive plan based on the carrier strength, occupation, health, and goal of your client.